VIDEO: OJ&B Talks Social Media Style At The Pierre Hotel's Sangria Social! The Pierre Hotel's bar, Two E, had a Sangria Social to celebrate Social Media Day on Wednesday, June 30th and Orange Juice and Biscuits was thrilled to be an official host! Two E celebrated Social Media Day with $18 carafes in five different flavors. Everyone who blogged, tweeted or put up a Facebook post about the event and printed it out was treated with a free glass of sangria! The event brought out the hottest people in social media, so I decided to interview some of them on their social media style! During the Sangria Social I interviewed Sadtu Usman of Femmecat.com, Michelle Joni Lapidos of Spa Week Daily and Valentina Monte of ValenTEA Party about their hot looks! I also had the pleasure of interviewing the Director of Public Relations for the Pierre, Nora Walsh, about the event and what is new at the fab hotel! 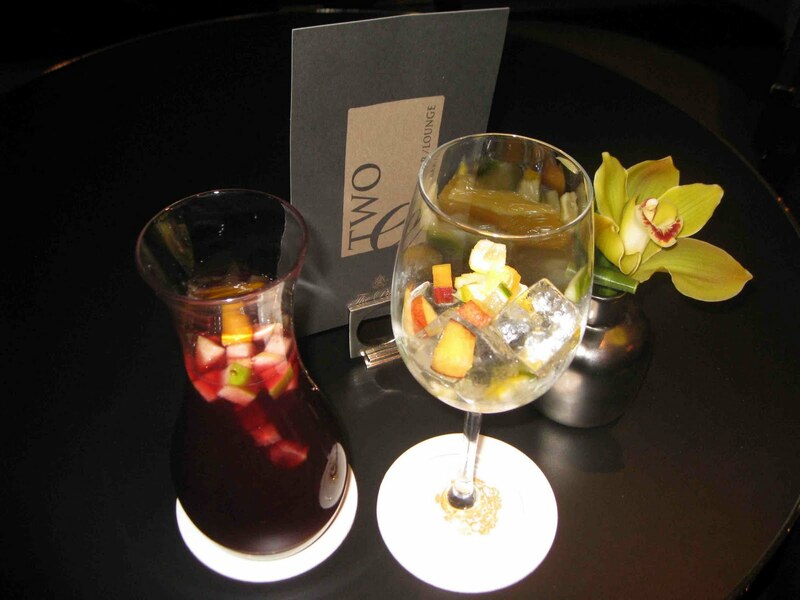 Take a look at the short yet fun video from the Sangria Social at The Pierre Hotel in New York City! P.S. CONGRATS to the Pierre Hotel for recently being named one of Travel + Leisure's "20 to Watch" for 2010's Best Up-and-Coming Hotels! Check out the write up here!